Complete set, laser cut PETG. Includes backplate, clears, printed clears, and custom key fobs. Bonus custom “3D” Desktop display assembly – which can also be used as a small topper. Larger than normal set, at nearly 5 square feet of PETG. 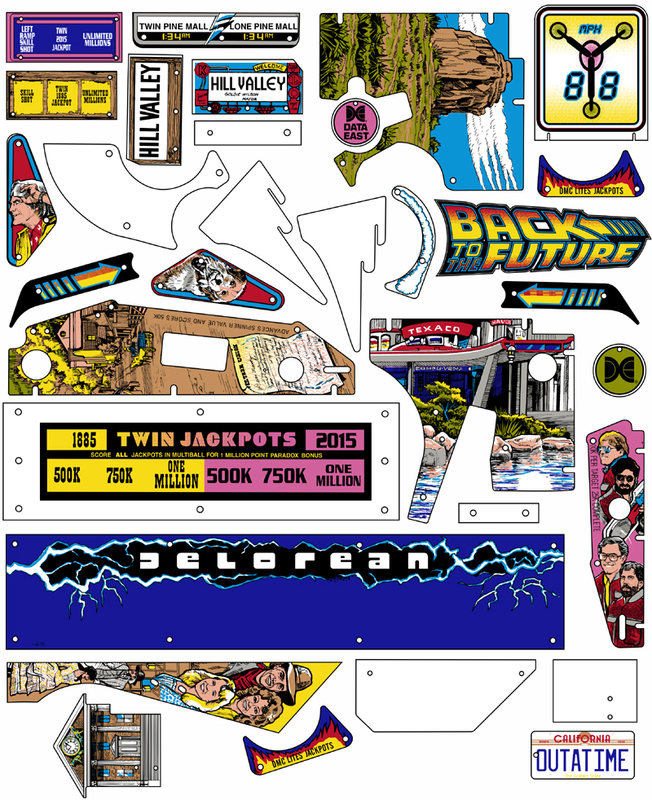 Vivid colors and brand new, perfect replacement for scratched, yellowed, broken, or incomplete BTTF plastics sets. Protective coatings unpeeled.